The Internet has given the consumer more power than ever before to be able to pick and choose which company they want to do business with. So managing your company’s online reputation is one of the most important elements of online marketing success. Small business owners from all different types of industries are realizing just how much social media and online reviews can affect their ability to generate new customers. It can have a positive effect or a negative effect depending on what information they find. Therefore it is vital to keep track of what your customers are saying about you and your business on the web so you can manage your online reputation and make the necessary adjustments to improve the buying experience for your customers. Many business owners panic and ask how it is possible to check everywhere on the Internet considering how huge it is. Fortunately, it is not as difficult as you may have thought and there are ways to achieve this through new improvements made in Internet technology over the years. Google has a powerful tool that sends you emails every time a new page or result is posted about your business, or uses certain keywords or topics. You can easily subscribe to Google alerts through RSS feeds and track everything that comes up about your company. This will let you know when new information is posted that mentions you or your company’s name (or any other parameters you setup), such new articles, press releases or reviews. It is a great time saver. Many business owners have realized that the majority of the information released about their company actually comes on message boards. It can be difficult to manage the activity on forums and discussion boards, which is why the BoardTracker application was created. This application will keep track of any mentions of your company on any discussion board or forum. This will allow you to address negative complaints or posts and to build a better dialogue with your customers. Social media networks have never been so popular. The vast majority of your customers actively participate in them on a daily basis. Many business owners are finding that these sites are some of the most influential when it comes to their online reputations. Another handy tool is Sentiment Metrics that searches through photo and video sharing sites, social networks, review sites and more to find mentions about your business. This is a powerful tracking tool that can help you to track and monitor your brand’s online presence much easier. These are just a few starting points for businesses that are serious about keeping better track of what is being mentioned about their companies online. Now that you know how to find information written about you and your company, you can turn it to your advantage. When it comes to out-doing your competitors, having a solid list of online customer reviews can work wonders. Over the past few years, a collection of different review based websites such as Trip Advisor and Amazon have hit the Internet in full force, and quickly changed the way that many small businesses build their reputations. With the wide-range of local review sites now available, most consumers with Internet access can simply check the online reviews of a company before deciding to visit an establishment or purchase goods and services. This has made many industries more competitive than ever. Businesses that are looking to find a certain level of success within the market will see that there are different ways they can gain the competitive edge against others in their industry. Positive reviews can go a long way in influencing potential new customers. As a business owner, it is always a smart idea to ask some of your most loyal and dedicated customers to write reviews of their experience with your business. It can be uncomfortable to ask others to review your company, but it’s definitely something companies should embrace these days. When your dedicated customers share their positive and honest experiences about working with your company, they can inspire many future clients and customers to turn to do the same. As time goes on, you will certainly get more attention from local consumers than your competitors who are not consistently getting reviews. When it comes to generating customer reviews, there are some companies who are so desperate that they have gone as far as writing fake reviews. This has become an epidemic in the world of online reviews, as countless businesses are creating false accounts to write positive reviews for their company. Even some authors have been known to do it when reviewing their books on Amazon. There is also a sinister twist to this as well as many businesses are also writing fake “bad” reviews for their competitors. While this may be tempting in a dog-eat-dog world, you should never have to stoop that low and it should be avoided at all costs. Not only is it immoral and dishonest, but it can end up doing more harm than good. Many times, sites like Yelp! are able to quickly and easily spot fake reviews and can ‘flag’ your business to the public if they know you are behind them. It would be commercial suicide for your business and is just not worth taking the risk. In addition to encouraging your actual customers to write positive reviews, it is also important to manage the reviews that are posted about you on the web. This is a great way to create better connections with your customers and to show the public that your business is the better choice because you care. It doesn’t take much time or effort. Simply write a quick response to positive reviews thanking the customer for their feedback. When there are negative reviews posted, do not overreact and give them a piece of your mind. Instead you need to approach them in a calm and professional manner and go out of your way to find out if there is anything you can do to remedy the situation. You may be able to turn that customer’s experience from a negative one to a positive one and keep them from running off to a competitor. Not only that but you could win over an army of new customers who watched and saw how you handled the situation. They will be impressed with how you handled it and it would reassure them that you are a trusted seller. Ever since sites such as Yelp, Google+ Local, and Citysearch started to hit the web, many small business owners are struggling to figure out how to fill them up with glowing, positive reviews from customers. Many companies large and small have started vigorous campaigns to encourage their customers to leave reviews, while others have taken extremes. As mentioned earlier, some companies have gone as far as to post their own fake reviews on their listings, which is not only a bad idea, it is dishonest and unethical. In order to get REAL authentic reviews, the answer is very simple: offer a great product and provide excellent customer service. However, those companies that are placing all of their attention on making their customers happy are seeing a consistent influx of positive reviews. This approach starts with focusing on your product and/or service. When customers have a genuinely good buying experience, it will naturally lead to more of them flocking to the web to tell others how they feel through social media and review sites. Above everything else, customers want to feel like they are being treated well. They want to feel like they are important and valued when they visit a business. Focusing more on the “customer” can help you build an excellent reputation – both online and offline. For example, quality customer service, and going above and beyond for a customer, can take any customers shopping experience from a mundane “OK” to “FANTASTIC”. Customers who feel they have had a truly ‘great’ experience at a business are far more inclined to take the time to write a review. Also, if a customer has had a negative experience on your website you should attempt to do everything possible to put the situation right. 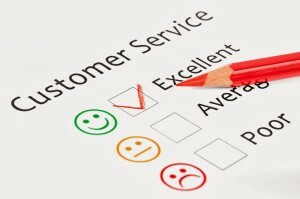 By extending excellent service even to your “unhappy customers,” they will be less likely to write a negative review. In fact, in many cases, these same unhappy customers can go on to write a “positive” review that lets others know how committed you are to customer satisfaction; this can be powerful in converting others into customers. As you can see, your online reputation is now a critical part of your business growth. Without that great first impression, you will struggle to capture the attention of online consumers who are looking at what you have to offer. If you have more negative reviews than positive ones, or no reviews at all, now is the time to start taking control of your ability to profit from the new way consumers are choosing companies to do business with. Even if you have mostly positive reviews, you should still strive to keep the momentum going by encouraging your customers to leave reviews. Not only will this help your brands reputation, but also it could result in significant increase in sales and revenue over time. The Internet is a massive place and customer’s reviews are just one facet of managing your online reputation. It is critical that you consistently stay on top of what is being said about your business, responding to those mentions, and correcting any negativity that could be crippling your success. If you are ready to take control of your online image and reputation please contact us for a friendly no-obligation consultation to see how we can help.